"is an interesting story right there. That's the second out. If you're just joining us, here's how that first out happened. You see a great pitch by... and that's the third out. We'll show you how that happened, when we come back." While it didn't quite happen that way, it felt like it at times. During the first game of a doubleheader on Tuesday, WGN repeatedly came back from commercial after the first pitch had been thrown in the half inning. 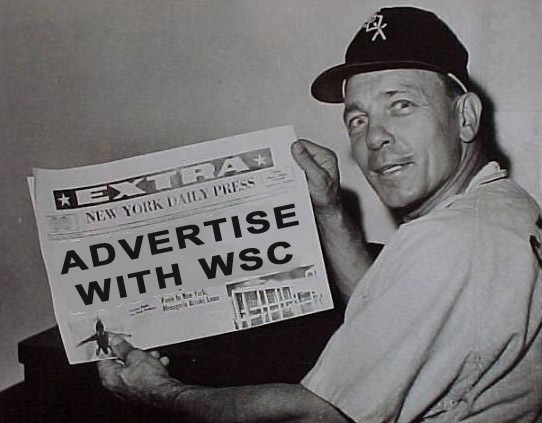 One time, WGN didn't come back from commercial until after the first out of the half inning! I realize that this was an unscheduled game, but this isn't an isolated incident. The problem isn't even isolated to WGN. Comcast Sports Net and the U are both guilty of this practice in recent years. It has gotten worse this season, for some reason. Are the television stations that desperate for commercial money that they have to disrupt the sporting event that they are airing? Half of the commercials that cut into the beginning of a half inning are bumper commercials for other programming on the channel. I'm against those annoying pop up ads that run on almost every station now, but I think that would be a better alternative to let me know that Reaper is a brand new episode, rather than to cut off a live sporting event. I can sort of see why it would happen on WGN or the U, since they are local channels that can be viewed on any television set. Comcast Sports Net is a different story. I have to pay for that by having some sort of cable or satellite service. They should not feel obligated to screw over the customer. If these stations feel that they need to sell more commercial time, then they should hand over the programming rights to a station that will show the entire game. I'm sick and tired of feeling that the commercials are more important than the sporting event being shown. Maybe by losing the rights to show the sporting events, the stations will lose enough money to respect the game. I'm sure that there are plenty of local channels that would jump at the chance to broadcast these games and do it right. Since yesterday's game was rained out, I missed my chance to catch a glimpse of Wok. Luckily, there should be double the chance today. If the weather cooperates, there will be at least 18 innings of baseball on the South Side today! Double the games means double the Wakamatsu! No offense to the Mariners great start, but I'm hoping that the White Sox sweep the doubleheader. Or, at worst, split. Sure, I'd like to see Don do well, just not at the expense of my team. 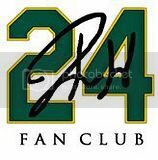 I may be a fan, but if it interferes with my team, I usually can't look the other way. It's colder today. Hopefully, that means that the Sox and Mariners can get both games in. I can't wait! The first teammates to hit their 300th home runs in the same game. Check out the full Goose Joak card set here. It's been a few months since I threw out a random card. This card is sitting on top of a small stack on my desk, waiting to be put into an Ultra Pro page and stored for safe keeping in a binder. "It's right here. It's looking at me". He's an ugly little spud isn't he? "I think he can hear you". Just then, Carlos Martinez leaped out of the card he had been imprisoned in since 1990. That surprised me. I had that week old lasagna from the fridge for lunch, but I never expected it to react like this. I hadn't been drinking. No medication to be found. It must be the lasagna. It's a line from a movie. They sometimes pop in my head at random. "Why haven't you put me away? I see you playing games on the computer instead of owning up to your responsibility to these cards". I've been meaning to, honest. "I could have been subjected to a life of toddler drool, but I ended up here. Don't abandon me at the last leg of my journey". OK. I'll get right on it. "You'd better. You see this bat that I'm carrying"? "If you don't put us away, I'm going to go Catholic style on your knuckles with this bat"! OK, calm down. Geez, I'm glad Frank Thomas replaced you. He's so much easier to deal with. Hey! I think that broke the skin! No, not really, but ow. "Put your cards away and never mention that name"! Ow! OK, that's it. See this finger? I hope you're wearing a cup! Just as I was setting up for some real life paper football, Carlos vanished. Did that really happen? I look back at the card and I swear it's mocking me. I flip through the stack and find Frank Thomas flipping the bird. Maybe it was at Carlos Martinez. It did really happen! I think I'd better put these cards away and stop eating Garfieldesque sized portions of heavy pasta for lunch. 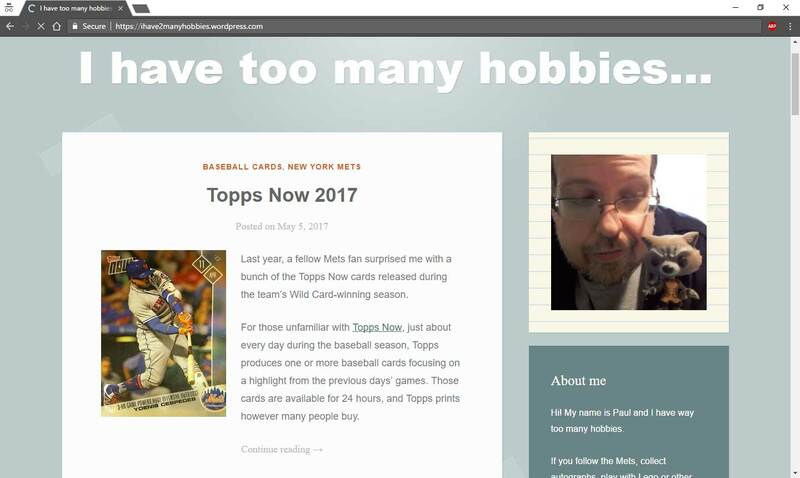 It appears that Charles, of the new blog Blue Jays Cards, is at it again. Or is it a continuation? Either way, more cards came my way, by way of the Great White North (originally Kanadian Korner). Yeah, I watch that too, eh. The reason I wonder if it is a continuation of a trade is because these 2009 First Edition cards were the only ones discussed during our original trade talk. I didn't miss them that much from the first package because there were so many great cards already in the package. Still, it's nice to see these 2009 cards. 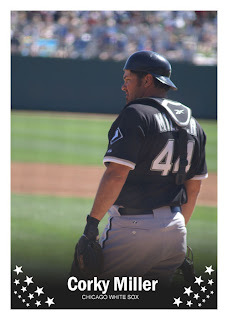 What surprised me even more, is that I am one card away from completing the 2009 First Edition White Sox set. I haven't even completed the 2007 set or the 2008 Update set. To be one card away is a great feeling! Let's see what showed up in the package! Thank you, Charles! This was a great surprise in the mail today. I am only lacking the Griffey Jr. card out of the set. That's farther than I thought possible at this juncture. You continue to be an awesome trading partner. 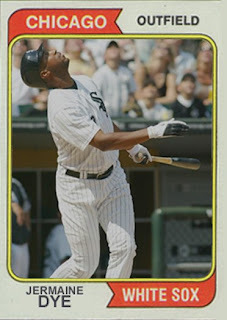 I jumped for joy when I found out that Harold Baines would have a card in the 2009 Topps Heritage release. I started cursing under my breath when I found out that the card in question would be a short print. It's lucky that I've decided not to collect this year's Heritage. Due to my collections, I would need this card three different times, if that were the case. Believe me, I'm not happy that I'll be collecting two of this short print card. One for the team collection and one for the Baines collection. I'm downright pissed that I will need five short print cards to complete the team set. Such are the joys of a team and player collector. This card was won on eBay for a grand total of 25 cents. That makes the sting of the short print card a little less painful. The seller had low shipping and a policy for combined shipping. I found two 2008 Topps Heritage cards in the store for $1.00 each, so I added those to the order. I don't think that I'll get another White Sox coaches card for that low, so I'm counting my good fortune with this purchase. Still, I'm one card closer to team set completion and two cards closer to master set completion in another set. Not too bad! Tonight will be a homecoming for more than one man. Ken Griffey Jr. is the obvious one, being that he was on the White Sox six months ago. The other one is not so obvious. 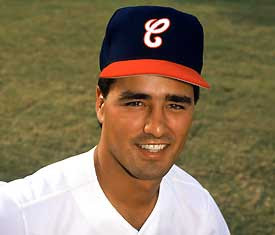 Don Wakamatsu played a handful of games in 1991 for the White Sox at the Major League level. It would be his only MLB experience as a player. I'm not sure what it was about him, but Don has stuck in my head ever since. That's pretty good for a third string catcher, behind Carlton Fisk and Ron Karkovice. Maybe it was the fact that he caught Charlie Hough and his amazing knuckleball. Maybe it was his name. Whatever the initial attraction, I've tried to follow Don Wakamatsu throughout his career. It makes it more difficult when that player is mostly in the minors. It makes it extremely difficult when the player retires and starts coaching in the minors. It's hard finding information on coaches in the minors. Before all these great sites started popping up with information up the wazoo, it was hit or miss finding this information. Sometimes, it's still difficult. Unless that person is in that position right this moment, you may not be able to find it. I was excited when I heard that Don would be coaching for the Rangers. 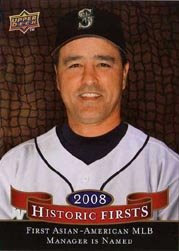 I followed him over to Oakland, where he was the bench coach in 2008. I thought that he would stay put for a few years, but I learned that the Mariners passed up Joey Cora and selected Don Wakamatsu as their new manager. Finally, I would see more Wakamatsu cards! It was worth the wait. Don seems to be managing the Mariners off to a great start. Sure, Don has been back to Chicago as a coach. Coming back as a manager is a completely different experience. I'll be watching tonight to catch a glimpse of Wok. Sorry for the delay in more of these cards. I chalk it up to real life intervening too much. Carrasco is one of those players that every manager wants in his bullpen. He can do long relief. He can spot start. He can come in on short or long rest. In a world of bullpen specialists, D.J. comes with versatility. 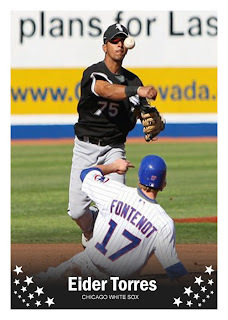 Hopefully, the White Sox can count on him in the same role in 2009. Once the bullpen is set, there should be no stopping the Sox! I found this card on eBay, at an over inflated price, so I thought. My instincts were right, after an investigation. It turns out that this card is an oddball made by Simon & Schuster in 1991. It just goes to show that every company will produce their own set of oddball cards, if you give them enough time. Before I tracked down the information, I considered turning this oddball eBay scan over to two sources: fellow bloggers and a certain brother of the pitcher, who reads this blog. Now that I found the information about this card, I can kill both birds with one stone. First, I wondered about the legitimacy of this card. But being part of a set by a reputable company, I can also eliminate the second question. Is that really a picture of Bobby as a kid? I'm 99.9% sure that this would be a photo of Bobby as a child. There are too many fail safes preventing this from being just some random kid. Still, it wouldn't be impossible for this kid to be Joe Schmo from Idaho. I have more confidence having found decent source information. No matter how many cards that you can track down of a player that you collect, there will always be one more lurking around a corner, out of your sight. It happens a lot with regional sets and oddball one off releases. Always keep your eyes open and check your facts. Cards love to hide on you! What better way to finish up this green week by displaying a White Sox favorite in a green uniform. Originally, these green uniforms were only worn in Spring Training on St. Patrick's Day. More recently, the White Sox marketing department created a promotion called "Halfway to St. Patrick's Day" that is celebrated in September. I found out something really important with this card. 1996 Upper Deck scans horribly! It looks passable as a smaller picture, but the initial scan had me cringing. It's the foil. This card signifies Harold's first homecoming. He was traded in 1989 to Texas. He bounced over to Oakland, then settled near his home with the Orioles. Even when Harold was away, I have never heard any booing towards him when he came to Chicago with the visiting team. Harold had an unheard of luxury in Chicago. He could do anything as a member of the opposing team and he would get thunderous applause. He could homer against the White Sox and still get a standing ovation. The White Sox and their fans appreciated his accomplishments for the team. It didn't matter who he played for, the fans still loved him. Harold's number has been retired by the White Sox since 1989. He last played in 2001. That shows how much he was loved in this town, even though he rarely spoke up for himself. Sure, the initial trade of Harold brought infinity master, Wilson Alvarez and strikeout king, Sammy Sosa. It also brought Chicago mainstay, Scott Fletcher back to the South Side. That admiration and pure love for Harold, by the fans, was something that I've never witnessed before and I doubt I'll see it again. The only player that I would have predicted to pull off such a feat in Chicago would be Frank Thomas. The fans even turned on the Big Hurt. They never turned on Harold. Gordon Beckham may not have known who Harold was, when he joined the team for Spring Training this year, but anyone who was a fan of the White Sox in the eighties surely knows who Harold is. The last three decades have been dominated by Harold Baines. First as an outfielder. Then as a visitor. Then as a premier DH. Finally, as a coach. The team will continue to be shaped with Harold's help for the foreseeable future. 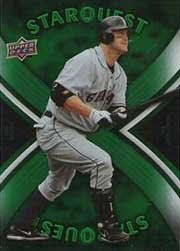 I'm happy that there is at least one card out there that captures Harold in the green uniform, while he was a player. My favorite team, one of my favorite players and my favorite color all combine to make me smile. Slightly over a week ago, there was a personal request by a dad in our blogging community who wanted to cheer up his bummed out son, after an Easter Sunday accident. I'm usually willing to help out a worthy cause like that, when I'm able to. So, I e-mailed and found out exactly what Sean liked. I handpicked a few cards from my collection and sent them off. I was hoping that I could at least bring a smile, where there lacked one. I thought it was the end of the story, but I was sorely mistaken. After I got home today, I flipped through the mail and ran across a white envelope that bore my name. I really wasn't expecting anything in the mail, but running a card blog sometimes means that you get mystery mail. I can live with that. It took a few seconds before I recognized the address. Sometimes it takes awhile before the mental stimulation kicks in and I start recognizing things for what they are. I'm not sure if it's because I'm on the wrong side of thirty or my mind just wasn't focused enough. Either way, I got a smile out of the return address and I thought that it was awfully nice for a package to return my way. I wasn't expecting anything in return for a kind gesture. I opened the envelope and came across a handwritten letter, from the patient himself. Sean, you're welcome for the Cubs cards. I was very happy to see that they were going to such a good home. It's funny that you should mention Hope in Oak Lawn. I live a short walk from there. I've visited a few kids there, and I can definitely say that you were in good hands. I'm glad to hear that your arm is feeling much better. I hope that you have a very speedy recovery and are back to playing baseball real soon. I have to thank you for the best part of the package. Thank you very sending me an autographed card of yourself! That is so cool! This card will have a very special place in my collection! I think you gave me the biggest smile today. Heal up and let's play two! Recently, I received an intriguing e-mail in my inbox. It was from a reader named Shawn W., who may be starting a blog soon. He was wondering if I had any spare Ultra cards, between 2000 and 2007, that I'd be willing to trade. I sure do! I bought two boxes of Ultra SE, before the prices spiraled downward in 2007, due to a retail version released around the same time that was almost indistinguishable from the SE version. Needless to say, I bought boxes around $100 and a few hobby packs for $20 and within weeks, the boxes were under $50 and the packs were nonexistent. To make matters worse, the two boxes were virtually identical. I received a few of the same "hits" and I was through with Ultra boxes. I couldn't justify the cost. Ultra SE was supposed to be the next big thing, but it was undermined by a cost efficient retail version. The "hits" weren't anything spectacular and the entire line was phased out because of the angry reception that the SE version got. And that is a shame because I loved Ultra! The whole point being, I had a ton of Ultra lying around from 2007 and some cards from earlier. 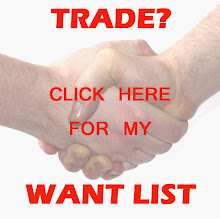 I was asked for a want list and I provided the link to what I have online. What I received in the mail blew my mind! This box took a big chunk out of my missing Frank Thomas cards and a healthy stab at the rest. Let's see what Shawn sent over. Thank you, Shawn! This box went beyond my wildest expectations! I saw cards of Frank Thomas that I never thought I'd see. There were so many awesome cards, that I stood flabbergasted for awhile wondering how I was going to tackle this post. I chose a Fleer checklist to scan because it features the biggest Frank Thomas smile I could find in there. Your box will be shipping shortly. The ladies over at Dinged Corners ran a contest recently. A bevy of questions greeted us readers and we were beckoned to pick out one and answer. First one to correctly answer a question went into the winners circle. All who failed chose another question. I chose a question about one of my favorite sets, when I was growing up, 1985 Topps. It helped that the answer was a former White Sox minor league manager. The truth is, I'm surprised that I was the first to answer the question. By the way, the winning answer was Terry Francona. The winners had their choice of claiming their mystery prize by year, by player, or by team. 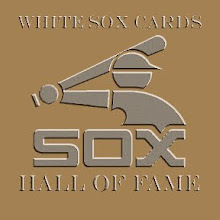 I chose the White Sox, naturally, and I was welcomed with a great package of wondrous cards that were handpicked especially for me. 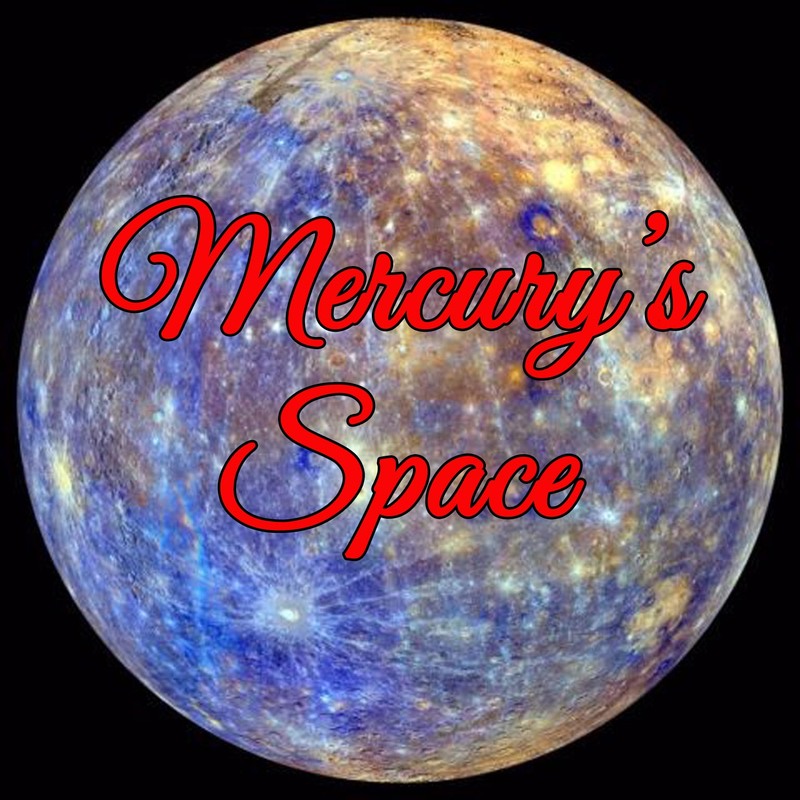 Patricia and Lucy have been very kind to this blog and I thank them for it every chance I get. Let's see what they sent over. Thank you, Patricia and Lucy! These cards are great! Thank you for throwing in some White Sox based Yankee Stadium Legacy cards. I swear that I will finish the White Sox set at some point. Thank you for getting me that much closer. There were surprises in store for me in this package. The Joel Horlen collegiate card was a nice surprise. The Mike Caruso card is out of this world! I'm still amazed at the Alex Fernandez card with the see through diamond and a bust of Alex that's viewable from both sides. It's almost like he had eyes in the back of his head! There are a lot of mid-air moments, smiles and airborne baseballs galore! 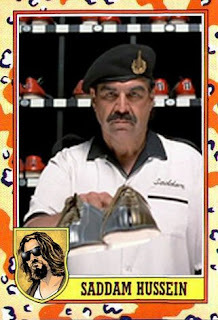 Possibly the strangest part of The Big Lebowski was the scene where Saddam Hussein gives out bowling shoes. With this in mind, I took an already existing card of Saddam, from the Topps Desert Storm set, and inserted "movie Saddam" into the card. He may have invaded Canada on television, but here in the movies, he is reduced to a bowling alley employee. Maybe this was punishment for turning into a liquid Terminator and melding with a dog in another movie. In more recent news, it has come to light that Saddam Hussein was forced to watch South Park: Bigger, Longer, Uncut over and over by U.S. Marines. I wonder which depiction Saddam preferred: bowling alley employee, gay lover of Satan, or a half man/half dog halfwit with an effeminate lisp. Anyone got a Ouija board? I knew it was coming eventually. It still caught me by surprise when I arrived home yesterday. Another awesome package from Johngy! I saw a box on the coffee table, when I walked in the door, after a hard day of learning the intricacies of drywall patching. It was a welcome site indeed. "This was on the windowsill. Are you sure you should open it? It just has your first name on it". Without hesitation, I grabbed the box and took it to a safe place, away from curious onlookers. In seclusion, I slowly opened the box. Inside were innocent enough looking cards. I sat with a puzzled expression on my face. Then I flipped the first card over. It was a 1980 O-Pee-Chee disguised as a 1980 Topps doppelganger. Then I looked at each card, one by one. They was Canadian goodness after Canadian goodness. If only my Canadian relatives were still here. They left last Saturday. Then the pièce de résistance, a whole slew of 1990 Coke cards! I was literally in seventh heaven as I looked card by card. This was on impossible set to find, at a semi-decent price, because of the Sosa and Thomas rookies. There were a few cards missing from the set, but I am so grateful for the ones that are here. These were on my secret double probation wish list for years! Let's get into specifics here. Thank you so much, John! You have no idea how long I've been searching for some of these cards. The 1990 Coke cards were a trip down memory lane. I still can't believe the amount of Canadian cards that you manage to run across. I didn't realize how many Expos players the Sox got in the early eighties. 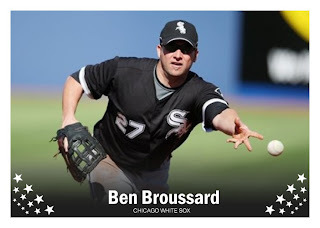 Seeing them in an Expos uniform with the little blurb, "Now with White Sox", like some additive, is eye opening. For some reason it had me exclaiming things in German and French. That's a rare occurrence. In a box full of Canadian and promotional cards, I found this gem of an over-performing player that just faded from his bright start. I'll talk about the box that it came in, in another post. Let's take a look at this card of Dave Gallagher. It's from a promotional set that I probably will never complete. Why, you may wonder? Frank Thomas and Sammy Sosa have essentially rookie cards in this set. Since this is a promotional item from Coca-Cola, there aren't too many copies floating around in mint condition. The card is slightly wider than a standard size. It should fit well into the eight pocket pages. That would be your best bet for slightly larger than standard cards. According to the back of the card, Dave is the only player to appear in all 161 games in 1989 and he carries a 198 consecutive game streak into the 1990 season. That's pretty impressive, even for a team that finished in seventh place in 1989. He must be a glutton for punishment. I don't even think that the mascots wanted to be around for all 81 home games that year. 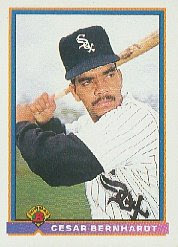 Dave was supposed to be the next greatest rookie, but he fizzled out after a hot 1988 with the White Sox. He quickly returned to his rookie season form with the Indians. Dave would hit a career high .306 in his last year, split between the Phillies and the Angels. He performed miserably in limited time with the Angels and it was all over. Some may be wondering why this is card five, when there is a seventeen listed on the front. Seventeen was Dave Gallagher's uniform number. The card catalogs list this set by alphabetical order, so Dave ends up being the fifth card. This set holds a special place in my heart. The logo in the top left corner depicts the eightieth anniversary of the original Comiskey Park. 1990 would be its final year and the White Sox would almost pull off an amazing feat in that last year. The Sox were in the pennant race until late September. If the White Sox were in any other division that year, they would have gone to the playoffs. Only a red hot Oakland team prevented them from the post season. The Sox would have taken the AL Central Division by fifteen games, if it existed back then. The Athletics and the Pirates were the only teams to post more victories for the 1990 season. I could lament about how the Sox were robbed, but I accepted long ago the limitations of the older divisional setup. I'm not completely certain if these cards were just offered through the White Sox kid's club or if they were given away at games. The Sox went through periods of doing one or the other and sometimes both. 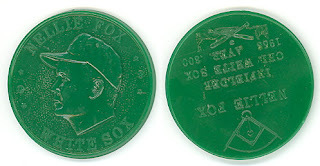 Still, this is a great memento for a magical season that turned out to be the beginning of some great years for the Sox. I've been out all day today learning the handy trade of patching drywall and other handy type deals. You have to learn these things eventually. For me, this was my first opportunity to learn. I never had a job that required me to use it, even though I have 9 years of maintenance work under my belt. The last of that was six years ago. Before I went-a-learnin', I dropped some packages off at the post office. Some of you that have been waiting for something from me will finally get those long awaited packages. It's still amazing to me how three weeks of no computer can wreck about three months of everything else. There are still a few that need to go out, but I got the majority of them packaged and mailed. Part of the problem was also a lack of getting to my cards. It's been a mess around here since the new cable service went in. Boxes are everywhere. Part of that was my insistence on sorting through everything and throwing out the rubbish. It's not nearly as fun as it sounds. Yes, one of those packages was the 1,000th post contest winner. Sorry about the delay, Stephen. My bad. I hope it will be worth the wait. There's a little something extra at the bottom of the box for you. I tackle plumbing on Saturday. Joy, joy. As for the Belushi photo... what can I say? 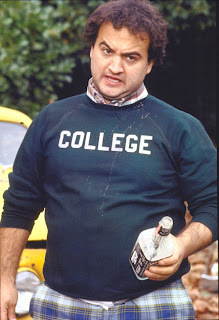 I like Belushi. I have ever since I was a little kid, which was when he was still alive. More from the Lebowski Card Fest! 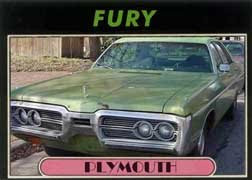 My 1972 Plymouth Fury. It’s Green with some brown, or, uh, rust, coloration. A World Series hero is returning to Chicago. No, not Joe Crede or Juan Uribe. Scott Podsednik! OK, I see how excited you are to hear the news. After the Rockies cut Pods at the end of Spring Training, there was a leadoff man without a team. Enter the White Sox, who love to bring back players over and over again. See Sandy and Roberto Alomar. See Harold Baines. See a plethora of others. 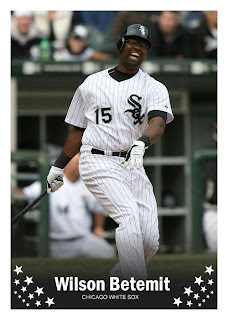 With DeWayne Wise out for awhile, the Sox took a shot on Podsednik and signed him to a minor league contract. He'll play with the AAA club, but may be called up to solve the center field and leadoff problems. Is this a good solution? Maybe, maybe not. At least the White Sox are trying. The Sox don't seem convinced that Jerry Owens is the future. Brian Anderson will have to show a lot more consistency at the plate to be considered an everyday player. It would help if Anderson was a typical leadoff hitter. Alas, he is not. 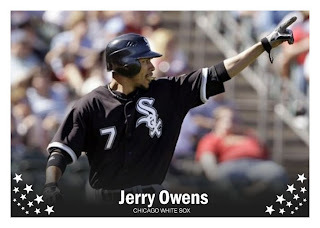 That leaves the tough luck Jerry Owens and newly acquired Scott Podsednik. If Pods does stick with the parent club, that would move Chris Getz into the second hole. Or it could move Brent Lillibridge into that role, depending on how nagging that injury is to Getz. Welcome back, Scotty! I hope we get the healthy Podsednik. I was sitting in a comfortable chair watching the White Sox beat up on the Tigers, when Ken Harrelson announced the death of Harry Kalas during the game. I could immediately hear that voice. It almost seemed appropriate that he collapsed in the booth, before the game. 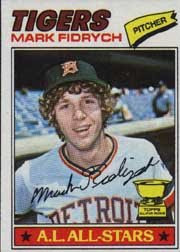 After the White Sox game, I heard rumblings about Mark Fidrych. Apparently, he was working on a dump truck and an accident cost Mark his life. Just as that was sinking in, I ran across an article claiming that actress Marilyn Chambers was found dead by her daughter. That's a lot of celebrity death to take in one day! April seems to be the cruelest month this year. History was made in Detroit, Michigan today. For the first time in Major League history, two players hit a century milestone in the same game. Jermaine Dye hit his 300th home run and Paul Konerko hit his 300th home run. What makes this feat even more remarkable is that they are on the same team. What makes this feat improbable id that they hit them back to back. Jermaine Dye led off the second inning with his blast. Dye was congratulated by the next batter, Paul Konerko, who quickly followed with his own home run milestone. Carlos Quentin had two home runs of his own, which nearly took away the limelight of Dye and Konerko's special achievement. Just when I thought I heard and seen it all in baseball, up pops this. Stealing the thunder from the home runs was DeWayne Wise. He made a spectacular diving catch in the bottom of the fifth inning, but had to leave the game because of a separated shoulder. After rolling over and throwing the ball in to hold the runners, Wise was slow to get up. You could see him grimacing in pain. Congratulations to Jermaine Dye and Paul Konerko! Neighbors, golfing buddies, and now milestone teammate achievers! While most of us were trying to move away from the stereotype that baseball cards were for kids, Toys 'R' Us was continuing its tradition of producing a baseball card set. They produced a rookie set from 1987 until 1991. In 1993, they produced their last sets featuring stars instead of rookies. 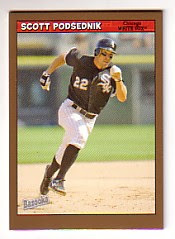 I like this card of Robin Ventura. It features an innocence that only a card sold at a kids' store could feature. It isn't overly kiddish, but it has just the right touches. It almost reminds me of a McDonald's issue from the early nineties. It's nice to see Robin Ventura in a set. Usually, it was Frank Thomas dominating the card sets. Frank pops up in this set too, but Ventura pops up first. The way the text is set up on the front of the card, it reminds me of I.R. Baboon from the I.M. Weasel cartoon. 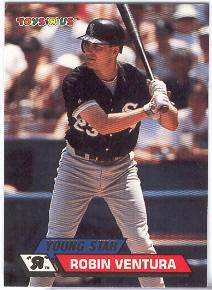 Young Star "R" Robin Ventura. Sure it's a stretch, but that's what first popped into my head, when I saw that. I slept in late today, mostly because my back was still a little tender. I missed the flurry of reports about the death of Nick Adenhart. While most articles will give you details about the car crash that took his young life, I hope to take you down memory lane. Nick made his MLB debut on May 1, 2008 against the A's. He had his first win on May 12, 2008 against the White Sox. My game summary can be found here. It makes no mention of Nick Adenhart. The summary focused on Mark Buehrle. 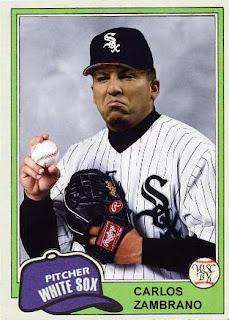 If Buehrle wasn't so awful in that game, maybe Nick wouldn't have won his first game against the White Sox. Then again, maybe Nick just pitched that well. Adenhart always appeared to be a tough luck pitcher. He would pitch well enough to get a no decision, as he did in last night's game. In a strange way, I feel honored that Nick got his one win against the White Sox. I feel sad that he will never get the chance to win his second game. Nick left behind a 1-0 lifetime record. We'll never get to see Nick blossom into the pitcher that he was destined to be. May he rest in peace. He'll be playing for the real Angels now. Since last week's card was obviously an April Fool's joke, Jermaine Dye has the actual fifth card in the set. Jermaine seems to be getting better with age. Dye has made more sliding catches in the outfield in 2008, than I can remember at any other time in his career. His bat continues to be a lethal weapon at the plate. Not bad for someone who was supposed to be in his declining years, four years ago. 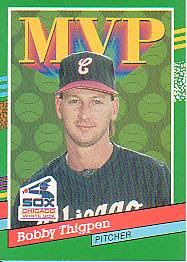 Jermaine is the only member of the current White Sox team that can claim to be a World Series MVP. Add into that equation that he claims that distinction with his current team, and you've got a special type of player. There has always been a certain fascination with the rookie card. 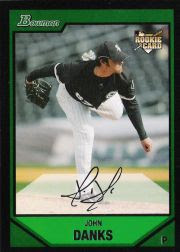 Players who become commons can still find their rookie cards to be slightly higher than other cards in their careers, unless they fall victim to the short print card. Throughout the eighties, there was a slow buildup of the rookie card. Dwight Gooden, Roger Clemens, Cal Ripken Jr., Jose Canseco, Bo Jackson and many others contributed to that craze. The card companies caught on quickly and soon the market would be flooded with rookie cards. In many instances, minor stars or common players were left out of a release to make room for a single A player that would never climb out of the minors. Couple this with star players getting multiple cards in the same set, for no other reason than greed, and there was very little space for the common player to settle in. 1990 brought the rookie card of Frank Thomas, which only a handful of companies decided to showcase. In one of the biggest blunders of that year, only Score and Topps had regular issue cards of Big Frank ready for early release. 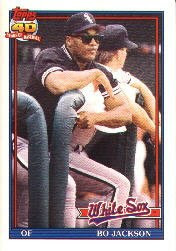 Leaf, which came out mid-season, had a very popular Frank Thomas card, but it wasn't the first. Fleer waited until their update set before adding Frank. Not a peep from Upper Deck and Donruss seemed to be satisfied with just the Leaf card. Most of the fuss was on Kevin Maas and Ben McDonald in 1990. Ben McDonald was a decent pitcher, but is largely forgotten outside the Baltimore Orioles fan base. Kevin Maas is largely forgotten except for die hard Yankee fans. The trends in 1990 were gimmicky. Todd Van Poppel was destined for greatness and Pete Rose Jr. was going to break his old man's record. None of it came to pass. Pitch men on home shopping networks were pushing Classic cards, er, I mean games. All four players were in these sets and Frank Thomas too. Fans went ape for the sets and the card companies took notice. In 1991, Bowman started it's transformation into the "Home of the Rookie Card". Every major set had players that would never sniff a Major League game. Score littered their set with rookies. Donruss saturated the set with Rated Rookies. You couldn't open a pack of Topps without hitting a Future Star or a draft pick card. Even Upper Deck seemed to get caught up in rookie fever. Usually, the rookies that the companies selected to be in each set had a legitimate shot at making the parent club sometime soon. Sometimes the rookies already had a taste of the big show. 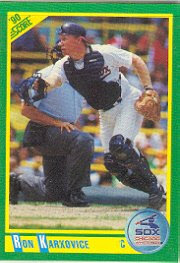 In 1991, Cesar Bernhardt had a card in the Bowman set. It would be his only stand alone MLB card. He made an appearance on a 1992 Topps prospect card with three other players. He never made it to the majors. Unwittingly, I have become a Cesar Bernhardt player collector and didn't even know it. I have both of his Major League cards. I know I have at least one of his minor league cards. Did I seek these specifically out? Nope. They just happen to be in the team sets that I collect. The next time that you look through your collection and find a bunch of no name washed up rookies, curse 1991. This was the year of rookie overkill. As with anything, there were events leading up to this happening. Every action is a reaction to the action that preceded it. There was no stopping the rookie invasion and unfortunately, the no name, never amount to anything rookie card dominates the landscape today. 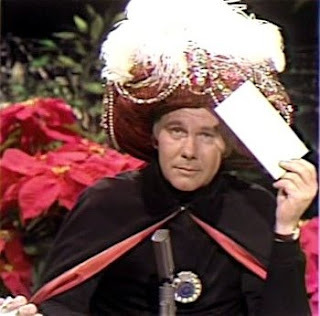 I feel well enough to play Carnac for the 2009 MLB season. "A roper, a doper and a soaper". "A roper! A doper! And a soaper"! Carnac opens the envelope and blows into it, revealing a slip of paper inside. "What you get when a critic and Barry Bonds both visit Ozzie Guillen". Yes, I know that was bad. It prepares you for what lies ahead. I think that the Red Sox will win by default. The arms race in the AL East will cause the teams in that division to beat up on each other. The key will be in who does better away from the division. The Rays will be good enough for second place. The Yankees run a close third. The Orioles will improve their record, but not be able to slip past the Yankees. The Blue Jays will collapse this year. The White Sox will repeat as the AL Central winners. The Royals talent finally cashes the checks they've been trying to write. The Twins start slow, but come on strong near the end. The Indians will be close enough to first to taste it, but will settle for fourth in a close race. The Tigers will be a mess this year, with flashes of brilliance. The Athletics found the right combination of talent and youth to win the division. The Rangers live up to their reputation at the plate, but the pitching will fail them into second. The Angels have lost too much. The Mariners cannot be helped by aging hipsters. The Royals will surprise people this year. They will win just enough to make the Wild Card. The Braves will be back to their winning ways. The Marlins will surprise people this year. The Phillies will unfortunately slip a bit in the standings, but make a good run. The Mets will start strong, but fade towards the end. The Nationals will try. The Reds will have the right combination of youth and talent to win again. The veterans that were holding them back are gone. The Cubs won't have enough left in the tank to win. Blame Fukudome and Soriano. The Cardinals will almost catch the Cubs. The Pirates will make great strides this season. The Brewers will be going down the slide into cheese heaven. The Astros won't be piecing it together this season. The Dodgers will run away with the NL West. The D'Backs will start slow and finish strong. The Giants will find their rhythm after the All-Star break. The Rockies will follow the Tigers route. The Padres will play this season. The Marlins will edge out the Cubs by one game for the Wild Card. There will be no predictions for the postseason. Once a team reaches that point, throw the rule book out the window. It will do you no good. For those of you scratching your head over the Carnac answer. Richard Roeper (who is a die hard White Sox fan) was Roger Ebert's partner as a movie critic. Barry Bonds is self explanatory. Some people believe that Ozzie Guillen's mouth should be washed out with soap. I now have something in common with Bo Jackson, Robin Ventura, Joe Crede, Frank Thomas and Cal Eldred. I am now officially on the DL. Well, if I were actually playing baseball somewhere instead of just writing about it, I'd be on the disabled list. Early Saturday morning, out of nowhere, my lower back gave out. Ever the trooper, I still went out to breakfast with Tracey. I drew the line at walking around Super K-Mart, opting to wait out the duration of the shopping in the car with the seat reclined all the way back. Suffice to say, I was never so happy to see home after that. We tried a new place (to us at least) for breakfast. It was crowded, overpriced and had small portions. The food was decent, but not worth the hassle. We were seated at a small table, in the middle of the floor, right by where everyone had to squeeze past us in a high traffic area. Not my idea of a good time while I'm hungry and in pain. Instead of organizing my boxes of baseball cards, I spent the majority of the afternoon lying on my stomach teaching Tracey massage techniques to use on me. She didn't do too bad for her first lesson, but I suspect the Tiger Balm helped a lot. I have no clue as to what caused the injury. Possibly my lower back has been plotting against me all week and Saturday morning was the perfect opportunity to strike. When your own body parts become sentient and evil, nothing good can ever come out of that. Posting may be sporadic or it could be plentiful, depending on how long I can sit in a chair without excruciating pain. Hopefully, this will clear up by Monday. I have to meet someone about a possible job and, of course, it's Opening Day, unless that gets snowed out. My Canadian relatives must have brought the snow with them, when they flew in Saturday. Only in Chicago. This is what I'm watching to get ready for the 2009 White Sox season. Even though the intricacies of the foil do not scan well, the basic idea is still displayed in this card. The card itself is speckled with green, blue and gold. It makes a semi-rainbow effect that is very pleasing to the eye. 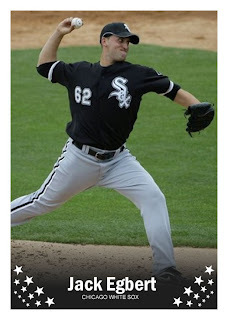 Keith Foulke was the same way on the White Sox. His contributions looked nice enough, but it didn't translate on the field as much as the fans would have liked. I can still remember being very high on Keith Foulke. Ultimately, I was disappointed. I was still a little bitter when Keith was traded to the A's for Billy Koch. The prospect of Koch eased the sting though. I knew Keith's limitations, but was unaware that Billy was about to implode. Foulke exploded when he left Chicago. Eventually, he would up on the 2004 World Champion Boston Red Sox and closed out the final game. Then the bottom fell out and Keith ended up resembling Billy Koch as a reliable closer. It just goes to show that sometimes the grass isn't always greener on the other side. Everyone in Chicago thought the White Sox were trading a very good closer for a great one. It doesn't always work out the way it's envisioned. 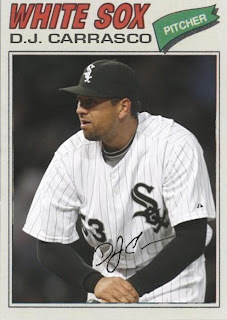 As for the card, I feel that it sums up Foulke's time with the White Sox. It's shiny. It gives a lot of hope, but it's just window dressing when you realize how many more pitchers (or parallels) there are. And Absolute Memorabilia (more so parent company Donruss) was all about the parallels. For some strange reason this particular card only has two parallels. Nice restraint, Donruss. Nice restraint. I'll be the first to admit it. I've been off my game lately. I have packages in the gathering stage, that aren't quite ready to go out the door. A few packages have stalled because of real life intervening. Imagine my surprise when a large bubble mailer appeared in my mailbox. It turned out to be from Rod of Padrographs. I need a better system of keeping track of trades because this package completely caught me by surprise. And yes, that's a good thing! There were a bunch of cards that I already had, but the ones that I didn't have more than made up for that. Included in the package are a few cards that I hadn't had on my want list because I didn't have a reliable enough checklist. Maybe I've been thinking too much about Brocktoon too much lately, but the most interesting cards have come out of the eighties and early nineties. Let's see what Rod sent over! Thanks, Rod! I never thought I'd be so excited to see a Bobby Bonilla autograph on a White Sox card! The Nellie Fox was a great sight. I had overlooked that set in my want list. The Carlton Fisk cards were great. I especially liked the king of hearts playing card. I will be looking over your want list and pulling some things to send back. With all the talk about 3-D right now, it's easy to forget that the technology has been introduced a few times. 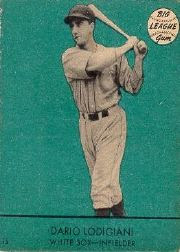 Most of the focus has been on the movies, but baseball cards have been in the thick of it too. The first 3-D cards that I can come across are the 1968 test issues from Topps. When Generation X thinks of 3-D baseball cards, they think of Kellogg's. From 1970 until 1983, the cereal company produced a small set of baseball cards in 3-D.
Their forays into three dimensional technology on baseball cards would pop up sporadically after 1983, but this was their heyday. The last successive 3-D set that was produced was the 1983 series. In many ways, it looked similar to all those that came before it. This was a set that changed slightly each year, but wasn't usually noticeable to the casual observer. The sets usually incorporated either blue or yellow in the color scheme. Sometimes both. They would be splashed across the card in a big splotch. The 1983 set was different. These cards had more of a Perma-Graphic set feel to them. It was almost as if Kellogg's decided to mature just a bit. The White Sox have four cards in this set. Everyone that you would expect to show up in an early 1983 White Sox set is here. The slugging young star. The young stud pitcher. The veteran slugger. The World Series hero/veteran. It's a good mix of players for a 60 card set. 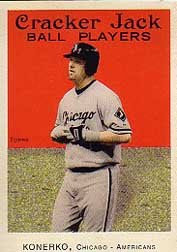 Floyd Bannister is in the set and he is usually reported as being on the White Sox in this set. That is false information. Floyd Bannister is pictured in a Seattle Mariners uniform in this set. Don't be fooled! This was a nice set to go out on for Kellogg's. A nice simple design. The unique 3-D cards. While they still produced baseball cards after 1983, they were nothing like the 14 year run ending in 1983. After a late Spring Training trade, "Big Z" has landed on the White Sox. Finally, Carlos realizes his dream of being on the team that he grew up loving. The trade is the best of both worlds for Zambrano. He gets to stay in Chicago, where he has a built in following and he gets to play for his childhood favorite. 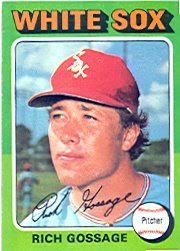 The White Sox traded speedy outfielder Jerry Owens, hard throwing closer Mike MacDougal, and a second round draft pick for the big ace. With Bartolo Colon and Jose Contreras still slight question marks, Kenny Williams pulled off the trade to solidify his rotation. Carlos will pitch third in the rotation, according to Ozzie Guillen. "This kid is the real deal. We're going to pitch him third, between Floyd and Danks. We want to break up those two kids from going back to back. Buehrle is still my number one, my ace, but we gotta give everybody a different look out there". Pitching coach Don Cooper had this to say about the surprising transaction. "This guy is coming in and all I have to do is keep his temper under control. He gets the job done out there. I don't have to follow him around showing him the ropes. He knows what to do". Mark Buehrle chimed in, in his own playful way. "Anytime you get a guy with these credentials, it's a shot in the arm for your rotation. If you believe that we got this guy, then you're a big April fool. Maybe we'll get him down the line, but right now it's not in the cards. We got you good though, right? Yeah, we got you good". So there you have it. Carlos Zambrano is now a member of the Chicago White Sox.